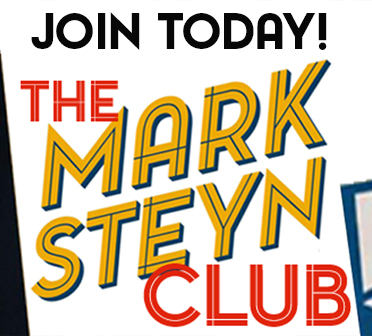 We launched The Mark Steyn Club just this summer, and I'm immensely heartened by all the longtime SteynOnline regulars - from Fargo to Fiji, Vancouver to Vanuatu, Madrid to Malaysia - who've signed up to be a part of it. As I said at the time, membership isn't for everyone, but it is a way of ensuring that all our content remains available for everyone - all my columns, audio interviews, video content, all our movie features and songs of the week. None of it's going behind a paywall, because I want it out there in the world, being read and heard and viewed, and maybe changing an occasional mind somewhere along the way. That said, we are introducing a few bonuses for our Club Members - not locking up our regular content, which will always be free, but admitting members to a few experimental features, such as today's video divertissement. This occasional feature celebrates some classic poetry I've mentioned in my books and columns over the years - verse that speaks to our own age as much as the poet's own. As I said when we introduced our audio series Tales for Our Time, if it turns out a total stinkeroo, we shall never speak of it again. But, if it avoids stinkeroo status, we may put it on DVD or some digital download format at Amazon. So bear with us, because it's a work in progress. I thought an ongoing weekend poetry anthology might be a useful addition to the SteynOnline line-up, in part because, if it turns out that poetry on TV is where the big bucks are, I'll look like a genius. And, if that's not the case, then more modestly I'd like to do my bit to keep some of this stuff in circulation - especially given the state of western education systems and the increasing brazenness of the new barbarians. As you might have noticed from recent asides in print and on air, I'm concerned about the erasure, in the broadest sense, of our cultural inheritance - the once widely recognized allusions that fewer and fewer people know. I never thought I had a spectacular education, but by the time I was a teenager I had more lines of English verse bobbing around in my head than my own kids do. And I think that's a loss. 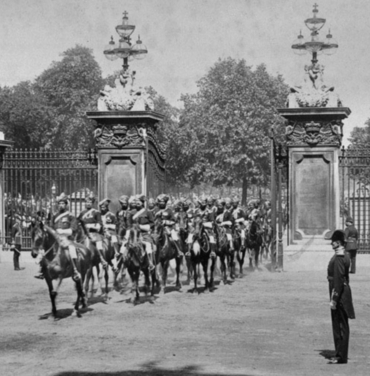 Today's poem was a prophetic one - Rudyard Kipling's Recessional, written at the height of imperial power in Queen Victoria's Diamond Jubilee year of 1897. I've quoted it on several occasions over the years. In today's episode I'll explain why. It's a profound work, and its premonitions apply far beyond Victorian England. 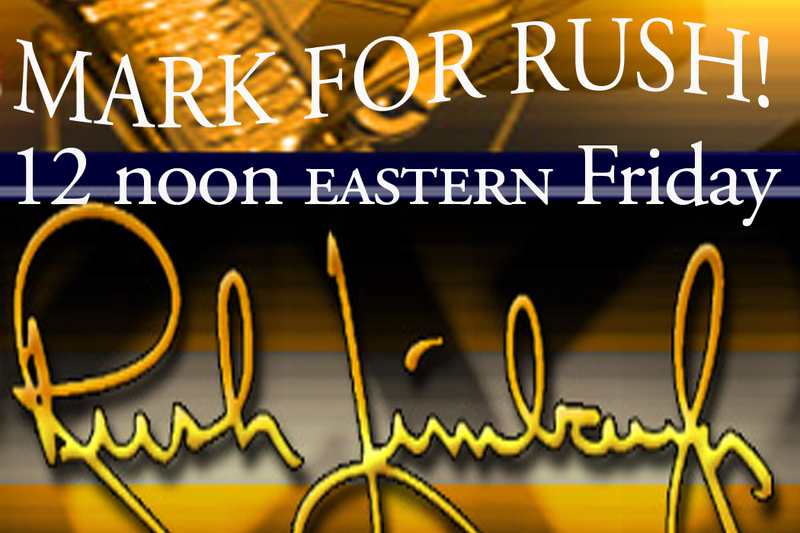 To watch it (or hear it), prefaced by my introduction, please click here and log-in. For our previous poem, Dover Beach by Matthew Arnold, please click here. 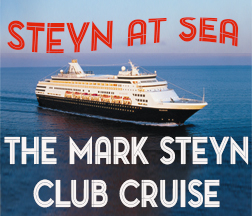 To become a member of The Mark Steyn Club, please click here. And for our new Gift Membership see here. One other benefit to Club Membership is our Comment Club privileges. So, if you like or dislike this brand new feature, or consider my poem reading a bust, then feel free to comment away below. I weigh in on the comment threads myself from time to time, but sparingly - because it's mainly your turf, so have at it (in verse, if you wish). I love hearing and reading your thoughts and never miss your sit-ins for Rush or your time with Tucker Carlson. I especially love hearing you recite these grand moving poems. 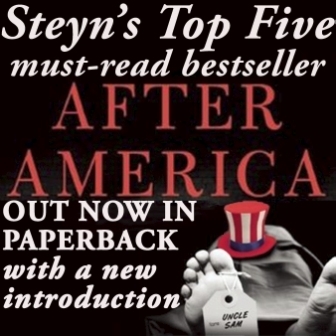 SteynPost $19: "I regret the loss of poetry in our society." Is what will come about, with no reprieve. 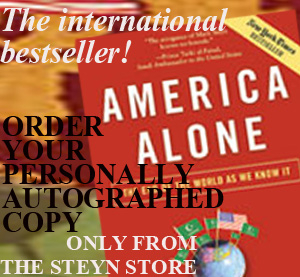 I'd be glad to send you a copy if you're interested. They cover many topics besides unemployment, e.g. cats; music (I played violin(and fiddle) and accoustic guitar for many years till arthritis got my fingers, then I sang in the CO Symphony Chorus); the outdoors; some of my spiritual experiences; and grief for my husband who died of cancer. Some have rhyme schemes (one is a sonnet), some use occasional rhyme; most use alliteration and assonance; one is a response to ee cummings' anyone lived in a pretty how town; one is political but humorous. I'm a little late commenting on "Recessional" but I just finished reading an autobiographical sketch by Kipling called "Something of Myself". Here are a couple of his comments on "Recessional" and "The Road to Mandalay". But at the back of my head there was an uneasiness, based on things that men were telling me about affairs outside England. (The inhabitants of that country never looked further than their annual seaside resorts.) There was trouble too in South Aftica after the Jameson Raid which promised, men wrote me, further trouble. Altogether, one had a sense of "a sound of a going in the tops of the mulberry trees" - of things moving into position as troops move. And into the middle of it all came the Great Queen's Diamond Jubilee, and a certain optimism that scared me. The outcome, as far as I was concerned, took the shape of a set of verses called "Recessional", which were published in The Times in '97 at the end of the Jubilee celebrations. It was more in the nature of a nuzz ur-wattu (an averter of the Evil Eye), and – with the conservatism of the English – was used in choirs and places where they sing long after our Navy and Army alike had in the name of "peace" been rendered innocuous. It was written just before I went off on Navy manoeuvers with my friend Captain Bagley. When I returned it seemed to me that the time was ripe for it publication, so, after making one or two changes in it, I gave it to The Times. I say "gave" because for this kind of work I did not take payment. It does not much matter what people think of a man after his death, but I should not like the people whose good opinion I valued to believe that I took money for verses on Joseph Chamberlain, Rhodes, Lord Milner or any of my South African verse in The Times. 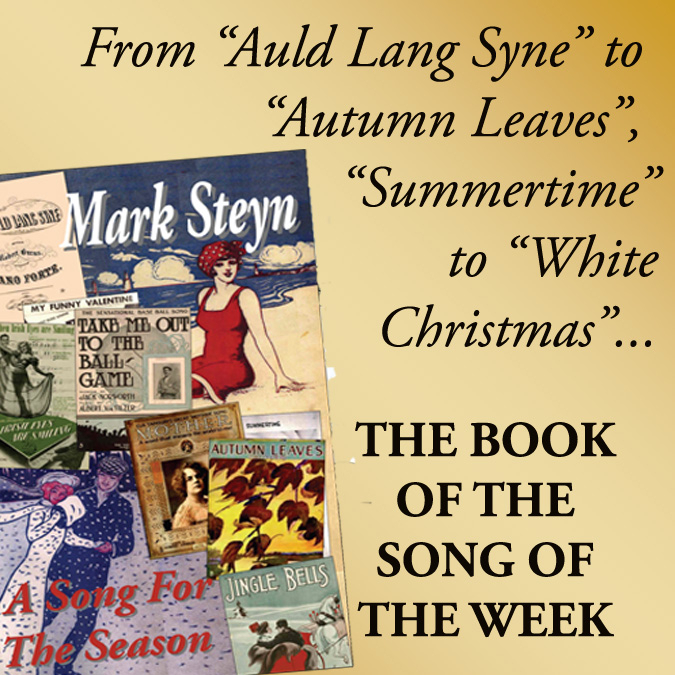 Again, I wrote a song called "Mandalay" which, tacked to a tune with a swing, made one of the waltzes of that distant age. A private soldier reviews his loves and, in the chorus, his experiences in the Burma campaign. One of his ladies lives at Moulmein, which is not on the road to anywhere, and he describes the amour with some minuteness, but always in his chorus deals with "the road to Mandalay", his golden path to romance. The inhabitants of the United States, to whom I owed most of the bother, "Panamaed" that song (this was before copyright), set it to their own tunes, and sang it in their own national voices. Not content with this, they took to pleasure cruising, and discovered that Moulmein did not command any view of any sun rising across the Bay of Bengal. They must have interfered too with the navigation of the Irrawaddy Flotilla steamers, for one of the Captains S.O.S.-ed me to give him "something to tell these somethinged tourists about it. : I forget what word I sent, but I hoped it might help. Had I opened the chorus of the song with "Oh" instead of "On the road", etc., it might have shown that the song was a sort of general mix-up of the singer's Far-Eastern memories against a background of the Bay of Bengal as seen at dawn from a troop-ship taking him there. But "On" in this case was more singable than "Oh". That simple explanation may stand as a warning. I certainly hope poetry on TV is where the big bucks are; this is great. Have you considered parts (or all) of G.K. Chesterton's "Ballad of the White Horse" for serialization? I find myself returning often to that work, especially Book III - the Danes have invaded south England again despite being paid off, and King Alfred has fled into the woods to muster a defense of the island. Around a campfire at night, the Vikings loudly praise their own victories, which King Alfred contrasts with honor and the bonds of civilization. Pointing to the Uffington White Horse, made in pre-pagan days, he says "it is only Christian men / Guard even heathen things." They did indeed, for so long. I don't expect the cathedrals or theaters or indeed even the civil structures of law to be accorded a similar tolerance in the long run. It's depressing, in that regard, but a beautiful poem. Rudyard Kipling has been called jingoistic by some critics. If that were the case, then why was he not named Poet Laureate of Britain, as Lord Tennyson was for some decidedly nationalistic poems? Some have commented that it is because of the demise of empire described in Recessional. Alfred Austin did write trite jingoistic poems and did become the British Poet Laureate after Tennyson, during the time of Kipling. Mr. Kipling earned a Nobel Prize instead. I love his poetry and prose. Thank you, Mark, for reading and remarking on Recessional so well. "For the last 100 years, Western colonialism has had a bad name. It is high time to question this orthodoxy. Western colonialism was, as a general rule, both objectively beneficial and subjectively legitimate in most of the places where it was found, using realistic measures of those concepts. The countries that embraced their colonial inheritance, by and large, did better than those that spurned it. Anti-colonial ideology imposed grave harms on subject peoples and continues to thwart sustained development and a fruitful encounter with modernity in many places. Colonialism can be recovered by weak and fragile states today in three ways: by reclaiming colonial modes of governance; by recolonising some areas; and by creating new Western colonies from scratch." Mark, thanks. I vote to continue with the Sunday Poem. I also appreciate the context supplied up front. Very much looking forward (or perhaps, better put, listening forward) for the next Tales of Our Time. You're having quite a run on TV, also -- keep up the struggle for sanity and free speech! 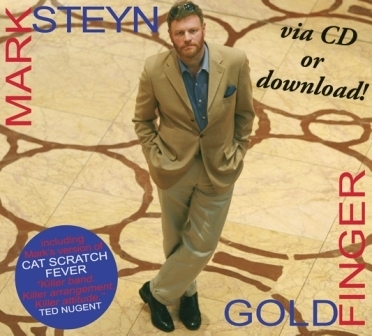 I can't think of a more sublime way to spend my time than to have Mark Steyn read meaningful poetry from my computer screen to me. It's a transcendent experience. They way he explains the context and ties it to what we see in the world today takes it to a whole other level. More, please. And thank you, Mark. Please add the audio format sometime soon. I do not find Mark's visual appearance alarming, but I do prefer audio. The audio version is already up. You can listen to it here. The context-setting was very useful - essential in fact, and the presentation excellent. Bravo Mark! Another excellent poem. May I note that this is probably the best poem on Civilizational collapse since Ozymandias so well done on the branding! Thank you as always for your efforts. Oh, yes; Ozymandias certainly deserves a place on the queue! Mark, I don't think I have heard poetry read to me since high school in the Sixties and barely grasped it then as an old English teacher lost his struggle to convey meaning above a riotous cacophany of 50 young teenagers - thus classical literature and poetry remained opaque to me. Your introductory explanations were so valuable to a layman like me to whom the raw poem would have been similarly mysterious had you not understood how our literary culture has fallen into such disrepair - to be deconstructed through what is apparently something called "post-modernism" and "unlearning" - and thus reading a poem would require some preliminaries. You opened the door of understanding to me Mark, by setting context and explaining biblical and classical references of which I am ignorant - and I read and re-read the words to comprehend its total application to the capsizing society in which we live today. Thank you Mark. More poetry please. Without your interpretation/explanation I would be just another Philistine,and the only reaction i would have couldn't be printed. Thanks for new feature! Well Done Mark. What a great new feature! - "Good men in poor ships are better than poor men in good ships." I can't recall who said it, but the truth remains: without a strong moral foundation, an army/corporation/nation/empire will certainly fail. - Kipling is a treasure. I see I am not the first to recommend his "Just So Stories", but I'm sure I speak for Marvin and other felines everywhere: you should do a recording of "The Cat that Walked by Himself". Never mind the critics of your voice modulation and/or accent. I love to hear your voice when you read. It's soothing and a contrast to the ear-abusing, nerve-wracking noise we are subjected to these days in urban life. What with the construction racket, sirens, horrible music in the stores and some restaurants, plus the rapid fire news reports and ads it's a delight to settle down away from the hustle and bustle and listen to you read wonderful literature. I'm looking forward to your next poem and book reading. I too was struck by your explanation of "lesser breeds without the law." The poem is in the Episcopal Church's 1940 hymnal (the last good one), Number 147. It's funny that the tune it's set to is "Anonymous German Melody, 1530." They may not have had the law, but they sure had the music, those Germans. Oh, and I enjoyed your reading of the poem. Mark, I remember my mother reading Rikki-Tikki-Tavi to me when I was a little girl. I made her read it over and over. Poetry and literature were my favorite classes at university. And I remember my dad quoting poetry, I couldn't believe he had memorized so much. I just loved your reading of "Recessional " and your introduction. A joy and a lost art. Thank you for reintroducing civility to our frazzled old world through the masterworks of literature. It is such a pleasure, even at my age (77) , to continue my education. I am a devoted fan since the early days of you subbing for Rush and "America Alone". Thank you for your contribution to the restoration of Western culture. Superb commentary to a great poem - excellently presented. Great to hear some Kipling. I even wondered if "The Man Who Would Be King" might deserve an outing? But the full story, from "The Phantom Rickshaw & Other Eerie Tales" would suit your many talents to a T.
Beautiful recitation of a profound - and profoundly sad and disturbing - poem. I read Kipling's "Just So Stories" when I was a kid. His "Recessional" and "Hangin' Danny Deever" were in the poetry anthology I studied in high school - along with many other works ranging from Shakespeare's sonnets to English and American poets of the early 20th century, which every reasonably well-educated teenager in the 1950's and 60's was expected to know. Not anymore. 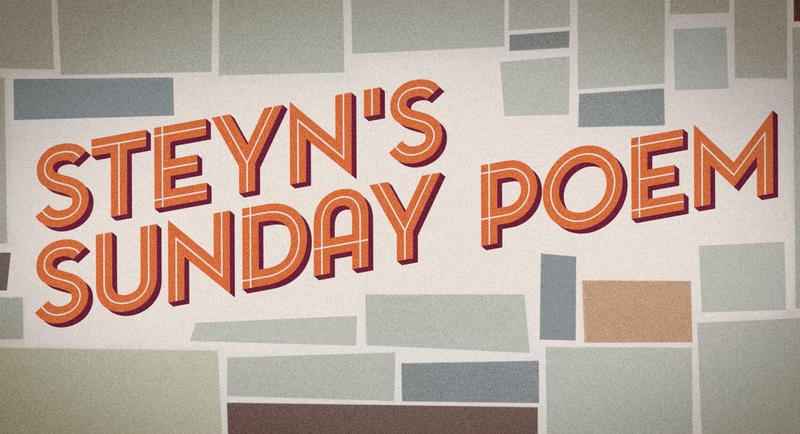 I'm definitely in favor of the Sunday poem idea! I'm sorry to say I often can't keep up with the books, much as I like them, for lack of time. But a good poem with analysis makes for an excellent break in the day on a weekend. Keep up the good work, and thank you for all you do! 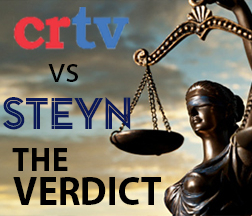 Thank you Mr. Steyn! Awesome feature. Second that!. Very wonderful, fascinating background, and engaging reading of it. You may have a problem unrelated to the encoding. Worked fine for me on current versions of Safari and OS X Sierra. Worked fine for my wife on Firefox/Win 8. I don't equate Robert Service with Kipling, but there are some rhythmic similarities (not to say imitation). The line "A promise made/is a debt unpaid" from "The Cremation of Sam McGee" made an impression on me 50 years ago. Anything from Service you'd consider reading? Maybe "Ballad of Lenin's Tomb," or "The Men Who Don't Fit In?" Service was an interesting man, writing about interesting times. You are better than a high definition camera spying the Earth from space; you are able to make out the newspaper dropped to the ground past, present and future. I get the feeling that the "Tribulation" is about to be thrust upon us all. 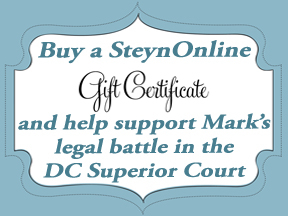 This is one of my favorite features of the Mark Steyn Club. Poetry is like deep-sea diving few descend to the depths of, but those that can find and bring back rich precious metals and gems that once on the surface they exquisitely craft into jewelry that they then give away. If you take the poetry in deeply, you become part of the family and the heirlooms become yours. As the Afghan war was getting started, I visited what had been the home of William Butler Yeats near the town of Gort in western Ireland. When he got there there was an old house with a tower in disrepair, but he rebuilt it for his wife Georgiana and he to live in. It was where he wrote The Tower and The Winding Staircase. On the outside wall is a little plaque with a short poem and it stays with me so easily. As I recall, it went like this: I the poet, William Yeats, with old millboards and sea-green slates, and smithy work, from Gort forge, restored this tower for my wife George. And may these characters remain, when all is ruin once again. Like that poem, this from Rudyard Kipling will stay with me a long, long time. 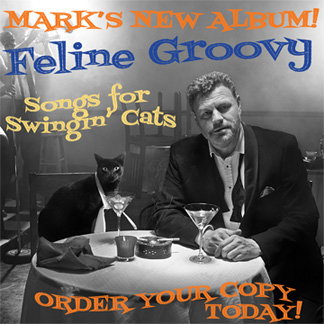 Well done and can't express my appreciation enough for what you do, Mark. I was unable to access the video on my Safari browser, but I read the poem and it is very powerful. The word, miséricorde, came to mind. I will try the link later today because Safari can be wonky. Or there's been a meltdown to watch your poetry reading (and your voice is perfectly suited to enunciate verse). The poet as prophet: Kipling is among the finest. Poetry's taken quite a beating, starting with the Beat Poets. You could create various volumes: Victorian Verse, Great War Words of Wisdom, Entre les Guerres and Between the Lines. At least 100 or so poems ought to come to your literary mind! The poetry anthologies and the literature anthologies used in classrooms across America since the late 1980s all bear the sterile imprint of political correctness. They are a sad travesty but also one obvious reason for the decline in language, in culture, in art, in civility. Thank you for this humble beginning of shoveling that stuff against the tide. I remain hopeful that all is not lost to these New Barbarians who don't even know what it is they've de-constructed. Sometimes the odds weigh in our favor when the "enemy" is so crippled by its own ignorance. Finally got the video to play. Kipling had his trials too. The Victorians believed in human progress but not in the way that the Socialists took off with it as an obsession (Beatrix Potter, William Morris, et al.) The Socialists of today lack the talents and even the technical prowess of the Socialists of 100 years ago. I don't blame technology but a flaccid attitude toward honor, duty, civility. The sun never sets on the English language. Wonderful reading. The introduction was valuable. I especially liked your explanation of the "lesser breeds" expression. How marvelous of our present day "intellectuals" to find offense with trivialities while ignoring the truly monumental. I hope you will get around to "The Gods of the Copybook Headings" some day which is my personal favorite. That one poem exposed all the rotten principles of Progressivism way in advance and with maximum economy. Bless you Mark. Keep bringing light to our world. We'll spread the word as much as possible. I agree with you here, John and the word is spreading. I stumbled into a cool atmospheric science forum here in Southern New Mexico about 8 years ago. 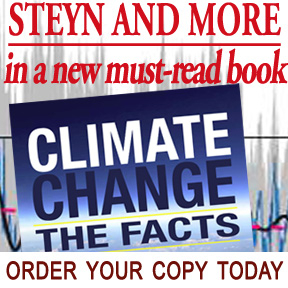 Mostly made up of retired scientists from the military base, former military personnel and professors at the university, they formed primarily to fight the Al Gore and Mann cabal, hype and proclamations about how man is destroying the environment. But they now are concentrating closer to home fighting the Left in our town, city council, the mayor, and noisy Progressives (still rattles me as a name being very contradictory to their actual beliefs) and relentlessly try to present the facts, real data, and truth about climate matters and meteorological events covering tens of thousands of year cycles and recent ones from beginning of the 20th century. While sadly and frustratingly falling on deaf ears here, this Next Generation Science Standards (NGSS) popped up recently and was supposed to begin implementation in our schools (47th in the nation!) this past August but was vetoed by the Govenor. Still, like Jason in the Halloween series, these horrible educational plans keep coming back to try, try again. It's apparently worse than Common Core. The scientists in our forum are stepping up and rewriting what is glaringly missing from the NGSS which is quite a lot. The deadline for objections to the new NGSS plan is fast approaching and the PED agreed to taking a look at the all the feedback. Each presentation is allowed three minutes to speak in Santa Fe. The idea, however, is catching on in other states. We heard from a distant retired scientist, a gentleman in Naples, FL, and he uheard about our group and they are writing up changes in the history textbooks and presenting them to a state representative to submit as a bill for changes in the Florida textbooks that have seemingly altered the facts about our history. Bottom up, grass roots and joint efforts could incrementally trim the Leftist and Progressive sails and get us back on course here. Pick your subject, gather your people and go after what you want taught in your local schools. 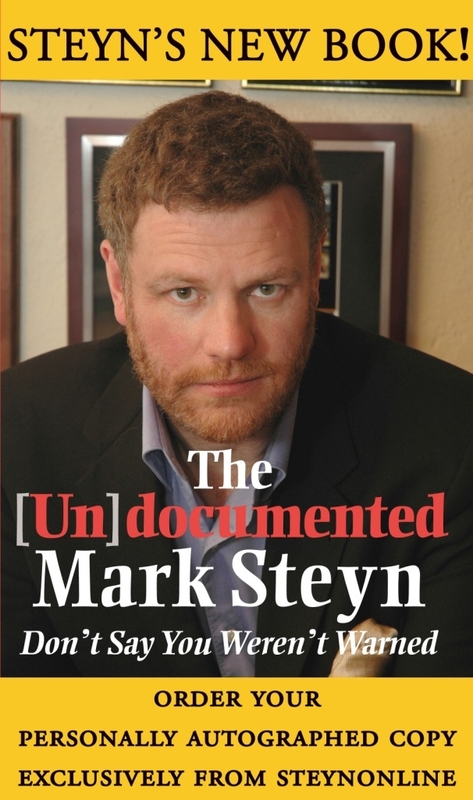 Hey Mark, it IS great to be a member of the Mark Steyn Club. I really do like the Tales for Our Time, especially the character voices. However, sometimes your reading can be rather monotone. Sorry. Maybe it's the Canadian accent. Geeze ! you get more culture and adult education in 15 minutes and you complain. Iam a self admitted audioist, Marks reading of great literature, 125 old , adds value like George Guidall or Richard Ferrone . Saying sorry for something you chose to say is nit wit picking. 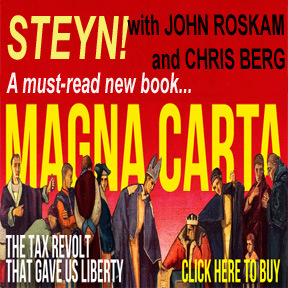 Well Doug, you certainly are a "Lauder" when it comes to Steyn's narrative abilities. I do hope that the Tales for Our Time stay around, but it doesn't make Mark look that great if all his club members (including myself) do nothing but chatter in approval to everything. Also, sometimes it seems that Mark gets nothing but expletives, threats, and lawsuits from his opponents, so I think that a little legitimate criticism should be refreshing. Besides, Mark keeps telling his club members that they're free to "tear him apart in the comments below," so I think I'll accept the challenge. Mark, you may be a brilliant writer, but you are a mediocre reader. Your voice can even start to become as flavorless as the computerized female voice that reads the copyright info at the beginning of your narrations. Your reading skills may somehow relate to your performance as a guest host for Tucker Carlson, which is even lamer. I don't understand it. You're great on the right side of the screen giving your opinion, but you're so humdrum when you're on the left side of the screen as the host. Is that really you Mark, or do you have some bland, lethargic twin brother we haven't heard about before? Well, chacun à son goût and all that: I find Mark's reading skills excellent. Admittedly, I'm from England (and an English teacher as it happens), so possibly my expectations are rather different from yours: you presumably prefer a reading style which I would consider exaggerated and artificial, rather than letting the words speak for themselves. Sue -- An English teacher of conservative mind is no small happening! I chalk up such criticism to a variation of what I call the Zsa-Zsa rule, with which we intelligent females (because I equate intelligence & beauty) have all had to deal: "Being jealous of a beautiful woman is not going to make you beautiful." There's an unfair amount of snide commentary about Mark being an "outsider" to any country that he therefore ought not critique or use in an analogy; the accent or intonation not being up to snuff; and other nit-picking needling that always leads me to wonder why a person would post such a comment to a club voluntarily joined. After having dealt with makeup blogosphere commentary, where the claws really dig into any statement, I find this site to be fairly tame. But we are dealing here with thoughts and ideas, not superficial appearance. Or maybe not. A bit off-topic, but still on the subject of language: One of my favorite Zsa Zsa quotes is: "The only way to learn a language properly, in fact, is to marry a man of that nationality. You get what they call in Europe a 'sleeping dictionary.' Of course, I have only been married five times, and I speak seven languages. I'm still trying to remember where I picked up the other two." Debra - indeed! I've been teaching English for over 40 years, and during all that time I've only had one (English-teaching) colleague who's been conservatively-minded. Coming into the staffroom after Trump's victory was interesting: everyone was projecting a mixture of anger and terror, and they were predicting nuclear war within weeks. Well, Sue, we're holding together -- enough to type these messages onto the Steyn site. It is appalling though the way the "media" in the UK and Europe display the USA. I check The Telegraph online once in a while because they seem less liberal looney than The Guardian, but the site seems obsessed with the way people dress. Melania got a real going-over for her coat-shoulder-drape, a skill she "perfected." I think there must be one big media paint blob, like Sherwin Williams, We Cover the World,, with liberal latex paint that bio-degrades. Quickly. Kudos to you and your teaching. I finally got my English degree after a few other options. I wanted the Debra Tanis degree (they didn't have it)! Well, I can't quibble with what you say Sue. There's a funny irony in your use of French in a dispute about English though. C'est bien vrai, mon brave! And thank you for your politesse - last time I posted a comment to a website (it was National Review), I was told that I was an ignorant idiot (only the responder wasn't quite so courteous: I've paraphrased his remarks somewhat). 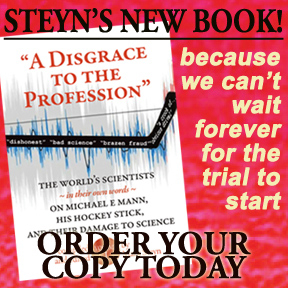 Mark Steyn seems to appeal to a more civilised segment of the community.